Why Go Xtreme? Legendary Support, Education, and Products. A rewarding and profitable career begins with our commitment to helping you succeed and become the best of the best. At Xtreme Lashes®, your pathway to success includes comprehensive education and training with an expert Lash Stylist and access to business building tools, innovative application and retail products, and legendary support- essential factors that help cultivate your talents and grow your business. Hands-on Training and Online Education. We offer a comprehensive selection of training programs that help develop, support, and maintain your lash artistry skills. Take advantage of the available options based on your skill level: Beginner, Intermediate, Advanced. Learn more. Online listing on the Xtreme Lashes Lash Stylist Directory™. Thousands of consumers visit the Xtreme Lashes Lash Stylist Directory daily to search for a Certified Xtreme Lashes Stylist in their local area. Extensive selection of high-performance application supplies and retail products developed by registered nurse, founder, and CEO, Jo Mousselli. Shop products. Specially formulated, eyelash extension compatible cosmetic and skincare products that help create additional value and revenue alongside your lash services. Shop retail. Get competitive wholesale pricing on Lashes and Application products. Also, get wholesale prices on Retail products, even when buying just one unit, that enable you to earn at least 100% markup on your retail sales to your clients. Weekly marketing and application tips and techniques delivered to your inbox to give you that competitive edge. Dedicated Customer Success providing you legendary customer and business building support. PLUS, same day order fulfillment and shipping for overnight and second day delivery. Live technical Troubleshooting Support Hotline – call Xtreme Lashes and a Certified Trainer will assist you in fine-tuning your skills. Online Education (training videos, webinars and tutorials) to keep you updated on the latest developments and innovations. Business building loyalty programs that strengthen your skills, expand your business, and grow your profits. Receive points to redeem a wide selection of products in the following categories: Xtreme Lashes Training Programs, Retail Displays, and Marketing Literature. Shop more, save more, earn more! With the Xtreme Loyal Lashista Program you can save up to 26% on all application supplies and aftercare retail products. Get the opportunity to receive double or triple Xtreme Rewards Points. Add lash stylists to your team and increase your profits with our special training price! When your clients shop on the consumer site of XtremeLashes.com, you will receive 20% of the sale in the form of Promotional Credit! As a bonus, referred customers receive 15% off their entire order as well. Once you enroll into a Training Program, you can begin to purchase and sell Xtreme Lashes consumer retail products to your clients right away. Although Xtreme Lashes consumer retail products have been especially formulated to be compatible with eyelash extensions, they are excellent for all consumers whether they wear eyelash extensions or not. $200 Promotional Credit for you, and $200 off the cost of Training for your friend when he/she signs up for their Training Program. An online board to connect Xtreme Lashes Lash Stylists looking for employment with Salons/Studios looking to add Lash Stylists to their team. With many different eyelash extensions companies to choose from, thank you for considering Xtreme Lashes. 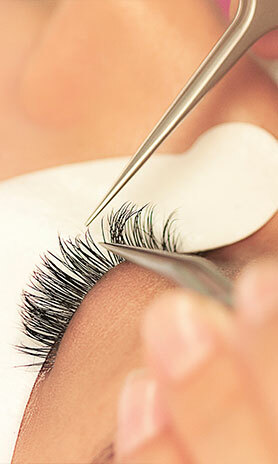 If you are interested in becoming a Lash Stylist, learn more at Start Your Xtreme Career.